The symptom of popping in the knee can be a sign of a few different problems. One of the key distinguishing factors is whether or not the popping causes or is associated with pain. Popping not associated with painful symptoms is often not a sign of a significant problem. A knee that decides to “pop” or make cracking sounds can be quite alarming. I think that all of us at one time or another have kneeled down and had our knees make a loud noise, but no pain occurs. In the majority of instances, though, this is a harmless soft tissue band that rubs in an unusual way within the knee joint, makes a sound, but doesn’t hurt or cause any damage. On the other hand, what is being described in this question deals with a painful “crack” or “pop” in the knee. There are multiple possible causes of this. The knee joint internally is covered with cartilage – the same pearly white covering that we see on the end of a turkey or chicken bone. This cartilage protects the joint as we flex, bend, and straighten the knee for millions of cycles over our lifetimes. If this cartilage becomes worn or frayed, the normal smooth sensation that accompanies bending the knee can become rough – leading to catches or popping sensations. If the cartilage becomes severely damaged (almost like having a pothole on a highway) then severe painful catches and swelling can occur. 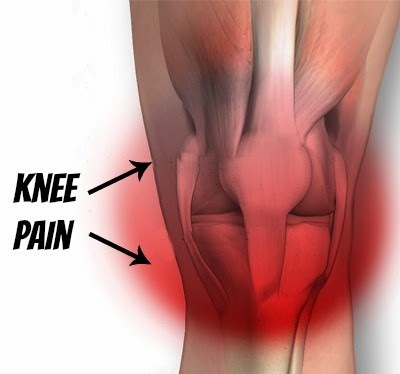 Other possible causes of “mechanical” symptoms in the knee include meniscus tears or loose bodies in the knee. The meniscus is another type of cartilage that acts as the shock absorber of the knee. The medial meniscus lies on the inner aspect of the knee between the cartilage ends of the thigh bone and leg bone, while the lateral meniscus is on the outer side. For someone with a history of a knee twisting injury or accident, tears of the meniscus are quite common. If the tear is severe enough, then the knee can actually lock solidly in one position -- leaving the person unable to bend or straighten without a physicians help. Luckily, these severe tears are not common… smaller tears leading to a catching sensation and pain are seen routinely in an orthopedic surgeon’s office. Loose bodies are small fragments of cartilage or other tissue that move freely around the joint and cause complaints of popping and catching. Theses are normally seen well with MRI, xray, and patients respond very well to small surgeries that remove the fragments. Finally, for young, active patients with these complaints (and no history of injury), the most common diagnosis involves the knee cap. As patients work out on the elliptical machine or stair master, for instance, the kneecap is moving back and forth through a groove on the end of the thigh bone. If the knee cap isn’t covered by a smooth surface of cartilage (a condition chondromalacia) the popping and catching can be painful and frustrating. If the knee cap has poor muscular control, then it even may start to jump out of the groove causing a “my knee just popped out” sensation. Both of these problems may be accompanied by swelling, pain and inability to be active. In all of these situations, it's important to consider the following. Mechanical symptoms (popping, catching, or locking) that follow an injury to the knee or that are noted with significant swelling need to be addressed by a health care provider. Many times, knee xrays and MRI’s help to confirm a diagnosis and referrals to orthopedics are quite common. Otherwise, keeping the quadriceps (thigh) muscles strong with exercises and possibly physical therapy can alleviate many of these complaints.